The national political dynamic has resulted in an extended immobilization of the government. With the House — a body where party discipline is the norm — under Republican control, passing legislation will be difficult and require compromise. Since the Senate is in Democratic hands, the probability of it overriding any unilateral administrative actions is small. Nevertheless, Obama does not have enough congressional support for dramatic new initiatives, and getting appointments through the Senate that Republicans oppose will be difficult. There is a quote often attributed to Thomas Jefferson: “That government is best which governs the least because its people discipline themselves.” I am not sure that the current political climate is what was meant by the people disciplining themselves, but it is clear that the people have imposed profound limits on this government. Its ability to continue what is already being done has not been curbed, but its ability to do much that is new has been blocked. The gridlock sets the stage for a shift in foreign policy that has been under way since the U.S.-led intervention in Libya in 2011. I have argued that presidents do not make strategies but that those strategies are imposed on them by reality. Nevertheless, it is always helpful when the subjective wishes of a president and necessity coincide, even if the intent is not the same. In previous articles and books, I have made the case that the United States emerged as the only global power in 1991, when the Soviet Union fell. It emerged unprepared for its role and uncertain about how to execute it. The exercise of power requires skill and experience, and the United States had no plan for how to operate in a world where it was not faced with a rival. It had global interests but no global strategy. This period began in 1991 and is now in the process of ending. The first phase consisted of a happy but illusory period in which it was believed that there were no serious threats to the United States. This was replaced on 9/11 with a phase of urgent reaction, followed by the belief that the only interest the United States had was prosecuting a war against radical Islamists. Both phases were part of a process of fantasy. American power, simply by its existence, was a threat and challenge to others, and the world remained filled with danger. On the other hand, focusing on one thing obsessively to the exclusion of all other matters was equally dangerous. American foreign policy was disproportionate, and understandably so. No one was prepared for the power of the United States. During the last half of the past decade, the inability to end the wars in Iraq and Afghanistan, coupled with economic problems, convinced reasonable people that the United States had entered an age of permanent decline. The sort of power the United States has does not dissipate that fast. The disintegration of European unity and the financial crisis facing China have left the United States, not surprisingly, still the unchallenged global power. The issue is what to do with that power. The defeated challenger in the U.S. election, Mitt Romney, had a memorable and important turn of phrase when he said that you can’t kill your way out of the problems of the Middle East. The point that neither Romney nor Obama articulated is what you do instead in the Middle East — and elsewhere. Constant use of military force is not an option. See the example of the British Empire: Military force was used judiciously, but the preferred course was avoiding war in favor of political arrangements or supporting enemies of enemies politically, economically and with military aid. That was followed by advisers and trainers — officers for native troops. As a last resort, when the balance could not hold and the issue was of sufficient interest, the British would insert overwhelming force to defeat an enemy. Until, as all empires do, they became exhausted. The American strategy of the past years of inserting insufficient force to defeat an enemy that could be managed by other means, and whose ability to harm the United States was limited, would not have been the policy of the British Empire. Nor is it a sustainable policy for the United States. When war comes, it must be conducted with overwhelming force that can defeat the enemy conclusively. And war therefore must be rare because overwhelming force is hard to come by and enemies are not always easy to beat. The constant warfare that has characterized the beginning of this century is strategically unsustainable. In my view, the last gasp of this strategy was Libya. The intervention there was poorly thought out: The consequences of the fall of Moammar Gadhafi were not planned for, and it was never clear why the future of Libya mattered to the United States. The situation in Libya was out of control long before the Sept. 11 attack in Benghazi. It was a case of insufficient force being applied to an uncertain enemy in a war that did not rise to the level of urgency. The U.S. treatment of Syria is very different. The United States’ unwillingness to involve itself directly with main military force, in spite of urgings from various directions, is an instance in which even a potentially important strategic goal — undermining Iranian influence in Syria — could be achieved by depending on regional powers to manage the problem or to live with it as they choose. Having provided what limited aid was required to destabilize the Syrian government, the United States was content to let the local balance of power take its course. It is not clear whether Obama saw the doctrine I am discussing — he certainly didn’t see it in Libya, and his Syrian policy might simply have been a reaction to his miscalculations in Libya. But the subjective intentions of a leader are not as important as the realities he is responding to, however thoughtfully or thoughtlessly. It was clear that the United States could not continue to intervene with insufficient forces to achieve unclear goals in countries it could not subdue. Nor could the United States withdraw from the world. It produces almost one-quarter of the world’s GDP; how could it? The historical answer was not a constant tempo of intervention but a continual threat of intervention, rarely fulfilled, coupled with skillful management of the balance of power in a region. Even better, when available as a course, is to avoid even the threat of intervention or any pretense of management and let most problems be solved by the people affected by them. This is not so much a policy as a reality. The United States cannot be the global policeman or the global social worker. The United States is responsible for pursuing its own interests at the lowest possible cost. If withdrawal is impossible, avoiding conflicts that do not involve fundamental American interests is a necessity because garrison states — nations constantly in a state of war — have trouble holding on to power. Knowing when to go to war is an art, the heart of which is knowing when not to go to war. One of the hardest things for a young empire to master is the principle that, for the most part, there is nothing to be done. That is the phase in which the United States finds itself at the moment. It is coming to terms not so much with the limits of power as the nature of power. Great power derives from the understanding of the difference between those things that matter and those that don’t, and from a ruthless indifference to those that don’t. It is a hard thing to learn, but history is teaching it to the United States. The gridlock in which this election has put the U.S. government is a suitable frame for this lesson. 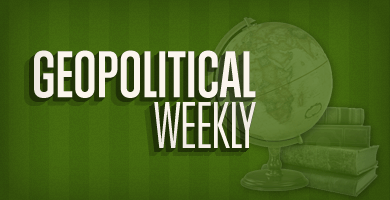 While Obama might want to launch major initiatives in domestic policy, he can’t. At the same time, he seems not to have the appetite for foreign adventures. It is not clear whether this is simply a response to miscalculation or a genuine strategic understanding, but in either case, adopting a more cautious foreign policy will come naturally to him. This will create a framework that begins to institutionalize two lessons: First, it is rarely necessary to go to war, and second, when you do go to war, go with everything you have. Obama will follow the first lesson, and there is time for the second to be learned by others. He will practice the studied indifference that most foreign problems pose to the United States. There will be a great deal of unhappiness with the second Obama administration overseas. As much as the world condemns the United States when it does something, at least part of the world is usually demanding some action. Obama will disappoint, but it is not Obama. Just as the elections will paralyze him domestically, reality will limit his foreign policy. Immobilism is something the founders would have been comfortable with, both in domestic politics and in foreign policy. The voters have given the republic a government that will give them both. « Poate deveni Forţa Civica o alternativă?